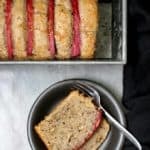 This Vegan Rhubarb Bread has the delicate flavor of rhubarb, of course, and it’s tender and moist and absolutely delicious. You can also bake this recipe into rhubarb muffins. 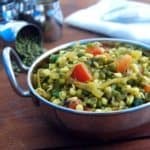 A vegan, soy-free recipe, can be nut-free and wholegrain. I never let Spring go by without grabbing up some delicious, ruby-red stalks of rhubarb. There are so many possibilities for what you can do with this veggie, from savory to sweet, but without a doubt rhubarb’s popularity and firm standing as one of America’s favorite Spring ingredients has been forged by the unique flavor it adds to desserts. I’ve baked up many rhubarb recipes for you over the years, from a Rhubarb Pie to a Rhubarb Mousse and a Rhubarb Upside-Down Cake. 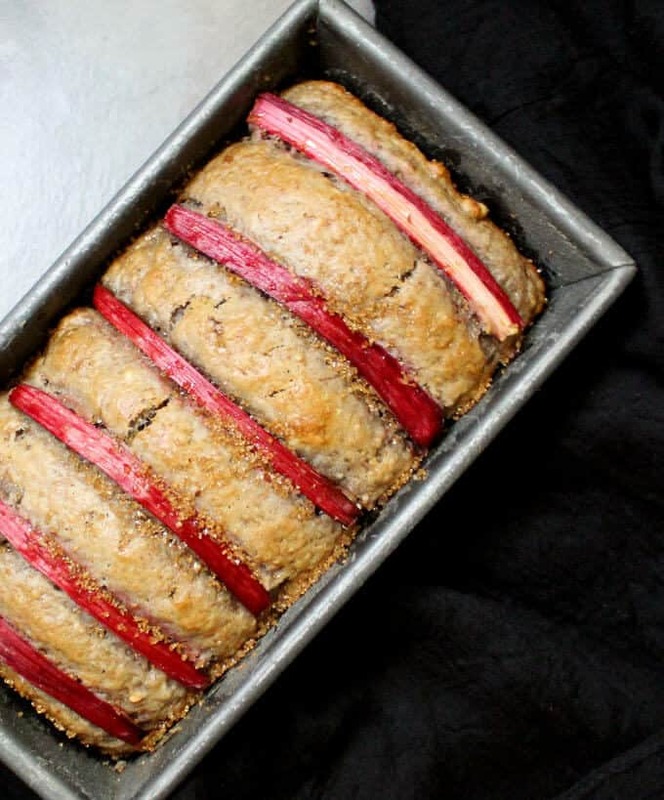 They’re all wonderful, but this vegan Rhubarb Bread is to die for. 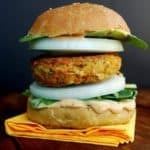 The recipe itself is easy and quick and you can put it all together in 15 minutes. You need a few minutes to cook the rhubarb before it goes into the batter. 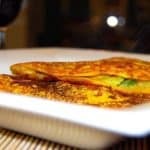 I adapted this recipe from one at the King Arthur site, and my vegan substitutions worked beautifully. The bread was moist and tender, with rhubarb flavor infused throughout and pockets of crunchy walnuts. 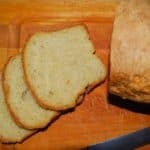 I used unbleached all purpose flour but you can use whole wheat pastry flour without any loss of flavor or deliciousness. Just substitute an equal quantity as the all purpose flour, or use half and half. 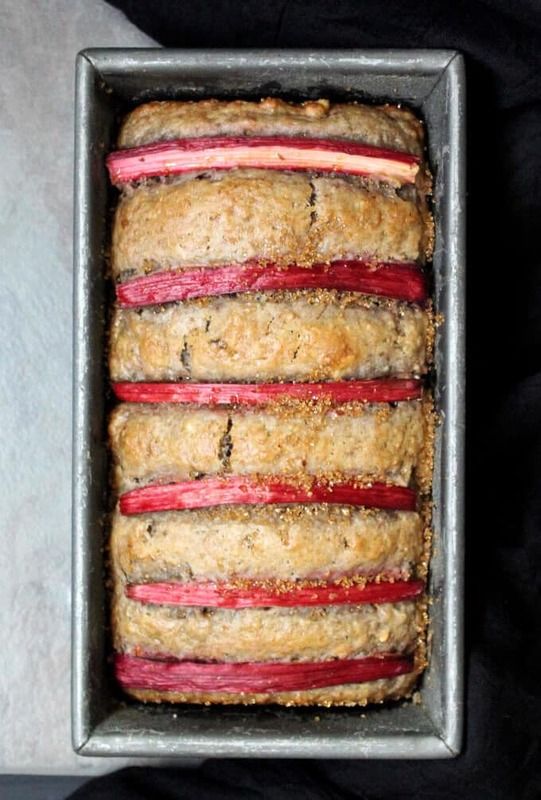 I had about five stalks of rhubarb, which was perfect for this recipe: it gave me the 2 1/2 cups of chopped rhubarb I needed to add to the batter, and I had half a stalk left over to decorate the top of the bread and add a pretty look. You can completely skip the decorative bit, but why would you when it looks so good? 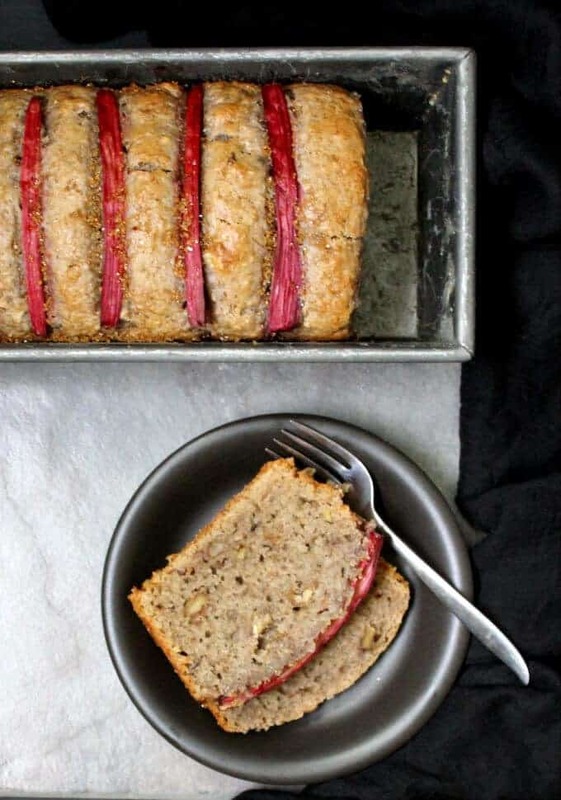 This Vegan Rhubarb Bread has the delicate flavor of rhubarb, of course, and it's tender and moist and absolutely delicious. 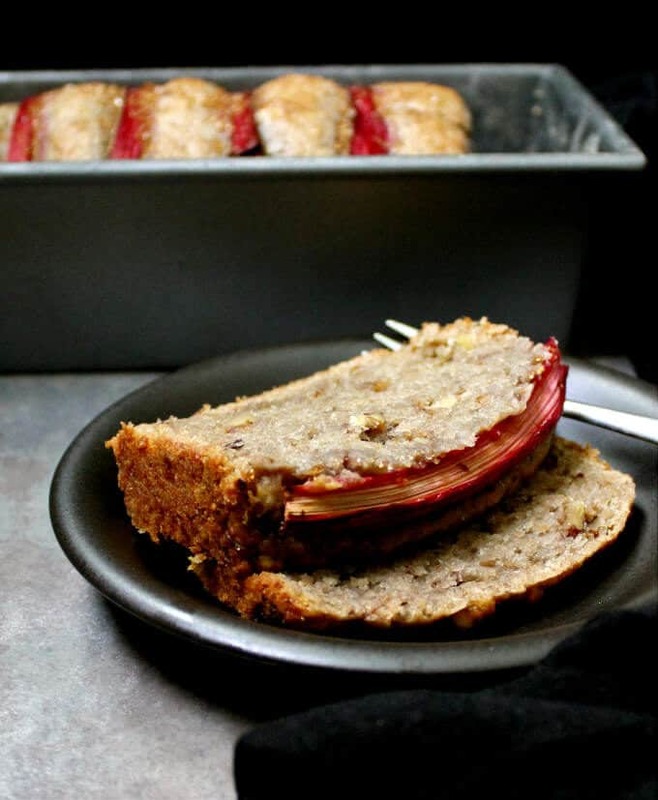 You can also bake this recipe into rhubarb muffins. 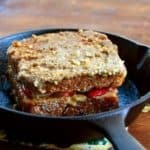 A vegan, soy-free recipe, can be nut-free and wholegrain. 1/2 cup walnuts (finely chopped). 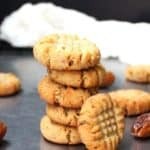 Leave out if you want to make this nut-free. 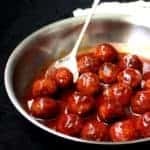 Place the 2 1/2 cups of chopped rhubarb in a small saucepan and cook, stirring occasionally, for about 15 minutes or until most of the water (but not all) has evaporated and the rhubarb is really soft. Set aside. Prepare a standard loaf pan (8 1/2 inches by 4 1/2 inches) by spraying with cooking spray and coating with flour. 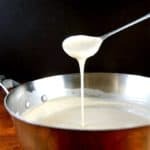 In a large bowl, whisk together the flour, baking powder, baking soda, salt and sugar. Add the walnuts, stir in and set aside. In a smaller bowl, mix together the oil, cooked rhubarb and flax eggs. Add the rhubarb-oil mixture to the dry ingredients and mix until combined. Pour the batter into the prepared loaf pan. Cut the reserved stalk of rhubarb into slivers long enough to lay horizontally or vertically in the pan. Arrange them on top of the batter. Sprinkle on some sugar on the top. Bake the bread in the preheated oven for 50-60 minutes with a toothpick. If the toothpick comes out clean when inserted into the center, your bread is ready. Cool on a rack for 30 minutes, unmold from the pan and continue to cool. Yes! I think that would work. 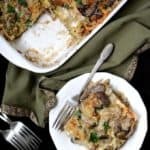 Any ideas about how to make this gluten free? This was the best rhubarb recipe I’ve made in a long time. It was gone in minutes! I made it with whole wheat pastry flour, so even healthier. Thank you so much!! 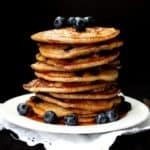 I want to make this but can’t find some ingredients in my town. Thinking to order online. I just loved the color mam. BTW I love this bread a big thumb up giving the 5-star rating. Sorry I didn’t see this earlier in the day and it’s prob too late for you — it’s been a busy day. You don’t need any water, just let the rhubarb express its juices. No water! The rhubarb will express its juices.